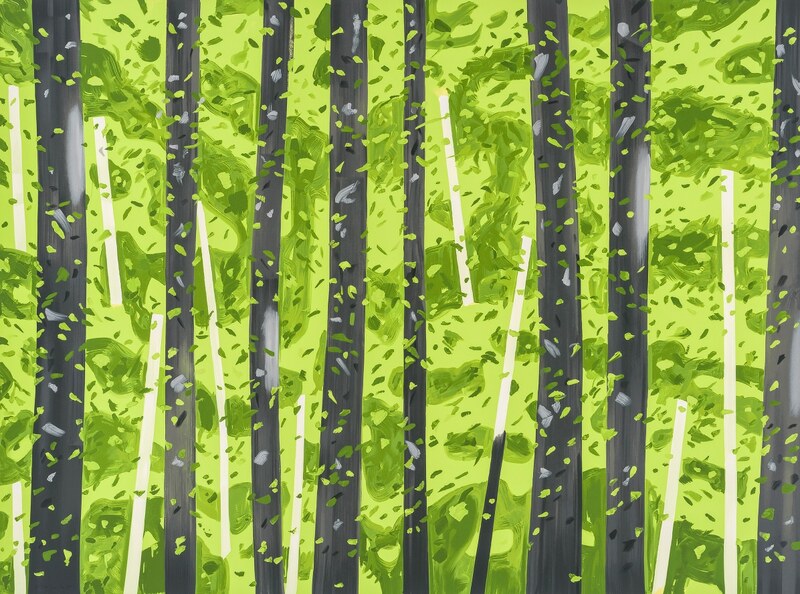 Alex Katz (born 1927) is an American painter, sculptor, and printmaker. Katz was one of the earliest artists in the New York School to react against the hegemony of Abstract Expressionism through an insistence on figurative representation. Although this has frequently placed Katz’s style in anticipation of Pop Art, his careful composition and emphasis on surface are closely related to the formal concerns of Color Field Painting. Katz’s images masterfully combine the objective nature of geometric abstraction with subjective portraiture. These intimate portraits—whether paintings, sculptures, or prints—represent the essential visual elements of their subjects in vibrant color. 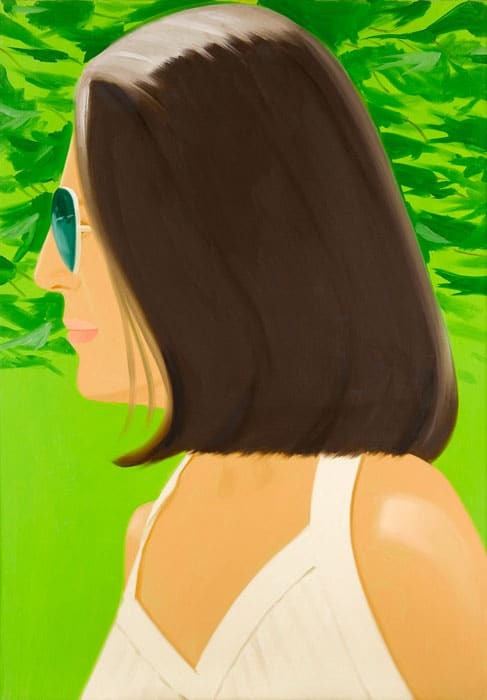 Alex Katz was born in Brooklyn, New York in 1927. He first studied at the Cooper Union Art School in New York and then, from 1949–50, at the Skowhegan School of Painting and Sculpture in Maine. Katz’s first solo exhibition was held in 1954 at Roko Gallery in New York. During his twenties, Katz befriended other influential New York artists including Larry Rivers and Fairfield Porter. In the early 1960s, Katz began painting on a larger scale, often focusing on closely cropped faces drawn from his social milieu of creative figures: artists, poets, and personal acquaintances. By the end of the 1980s and into the 1990s, Katz turned his attention to landscapes, drawing inspiration from the effects of light in an array of contexts, from the organized, artificial light of an urban environment to the filtered sunlight of nature. At the turn of the twenty first century, Katz began incorporating the color relationships and formal qualities of flowers into his work. For over 60 years, Katz has created complex and challenging work, which has been exhibited internationally and featured in multiple retrospectives. His works are part of major collections including the Museum of Modern Art, New York; the Whitney Museum of American Art, New York; the Art Institute of Chicago; the Smithsonian Museum of Art, Washington, D.C.; and the Carnegie Museum of Art, Pittsburg. In addition to international acclaim, Katz has received many honors including the Lifetime Achievement Award from the National Academy Museum in New York and an Honorary Doctorate of Fine Arts from Colgate University in New York. Katz lives and works in New York City. 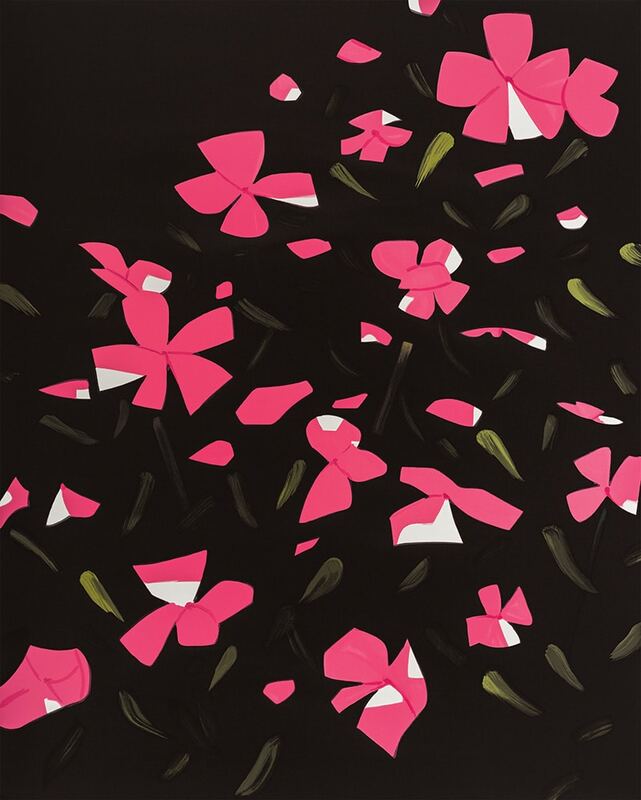 2016 – “Alex Katz: Black and White,” American University Museum, Washington, D.C.